Laura Berlage had just impressed the students by showing them North Star Homestead Farm’s furry Kunekune pigs—a heritage breed from New Zealand that were made famous by their appearance in “The Hobbit.” Just beyond the barnyard we found another curiosity—and this one was a native! 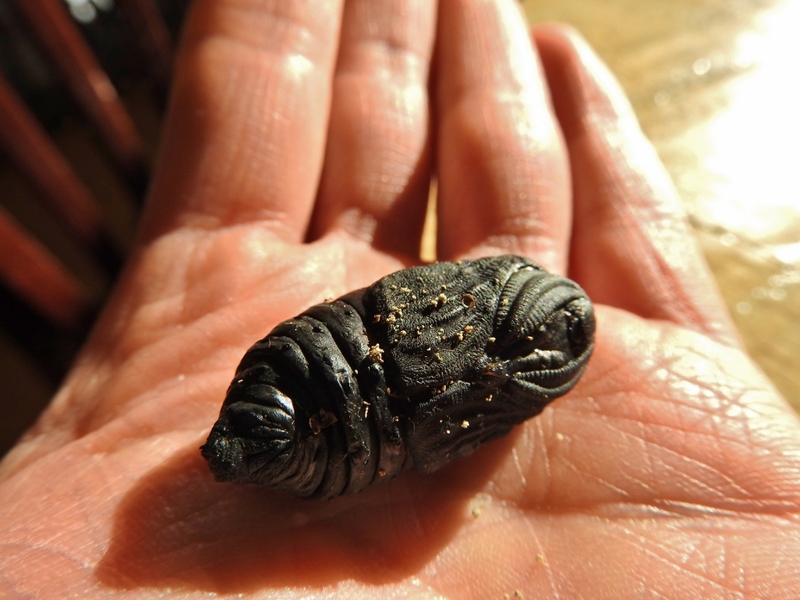 This crumpled exoskeleton was shed by the caterpillar when it became a pupa during the process of metamorphosis. Photo by Emily Stone. The double-wall construction of a cecropia moth’s cocoon provides it some buffer from extreme fluctuations in temperature. Photo by Emily Stone. After a mile-long loop along the fields and through the old sugar bush, we tromped in to the Farmstead Café and Creamery for lunch. Up in Laura’s new fiber loft, I pulled the cocoon out of my pocket and began to separate the layers. The outer shell was tough. Woven of gray-brown silk, it was paper-thin but fabric-strong. Cecropia moths attach their cocoon to a twig along the entire length of one side. Photo by Emily Stone. 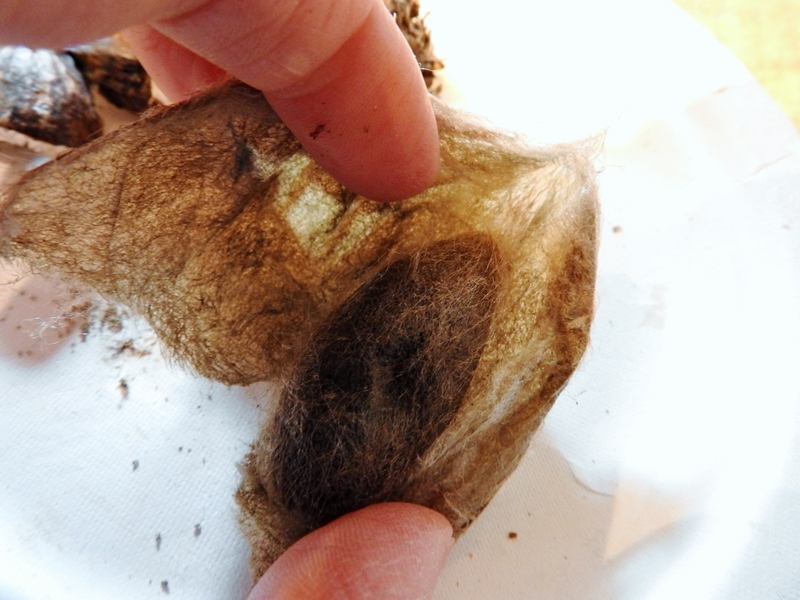 On the right side of this cecropia moth pupa the ridges that look like a scarf or cowl-neck are actually the imprint of the female moth’s developing antennae! Photo by Emily Stone. 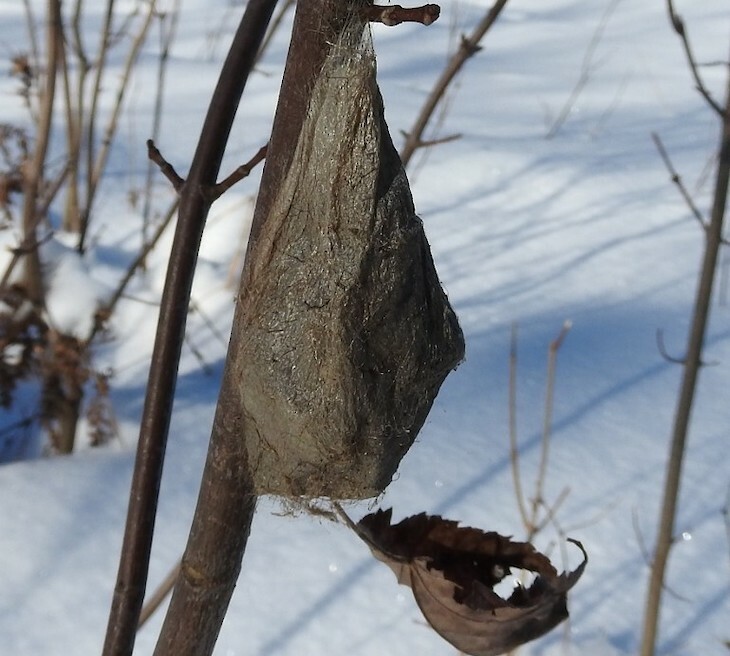 The double-wall construction of the cocoon doesn’t prevent the larva from feeling the freezing weather, but the barrier does insulate it from abrupt temperature fluctuations, as well as potential predators. Birds, squirrels, bats, and owls will eat the larvae and adults. 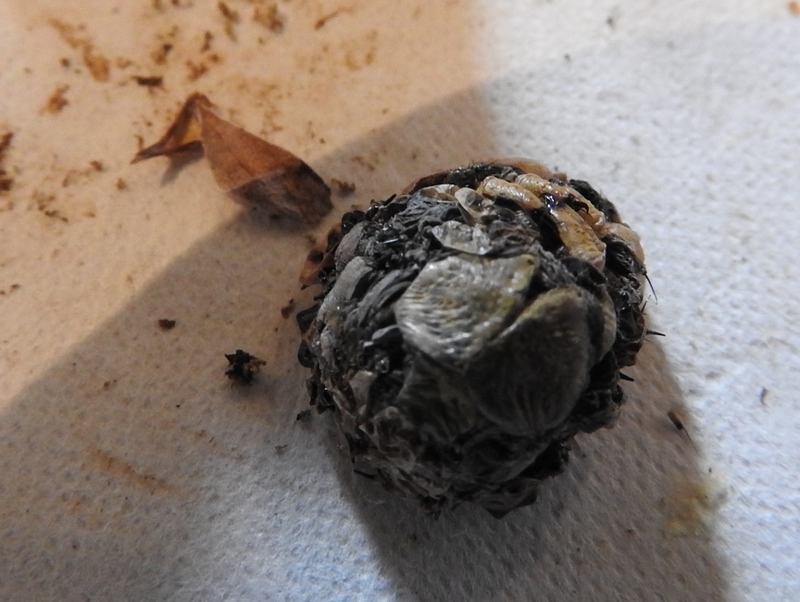 Parasitic wasps may destroy the pupae. One of the biggest problems for cecropia moths, and many of their friends, though, is pesticide use and habitat loss. Happily, the sustainable agriculture practiced on the North Star Homestead Farm allows for this and other natural neighbors to thrive.